Don’t be fooled by this outlaw! With buckthorn’s ability to quickly grow into dense, thorny, thicket-forming hedges, you may love how it keeps your neighbors from seeing you with your hair sticking straight up while taking the dog out to the backyard first thing in the morning, but, this is one clever con artist. Banned from garden centers in the 1930s, buckthorn long ago escaped from our urban and suburban landscapes and is now taking over and degrading our woods, parks, yards, and roadsides. Buckthorn is one of our most noxious and invasive desperados. Birds ingest and expel its seeds, which rapidly grow into seedlings everywhere. Left unchecked, buckthorn thickets can contain up to a half-million seedlings per acre. With no room or sunlight for native tree saplings and other naturally occurring vegetation to grow, areas infested with buckthorn degrade over time. 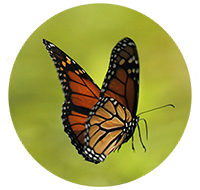 What’s more, a buckthorn monoculture, which offers little nutrition for beneficial insects, birds, deer, and other animals, threatens important wildlife food sources. This public enemy looks green, but it’s an imposter. Learn how to kick this scam artist out of town! 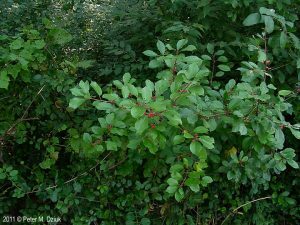 By replacing buckthorn with thicket-forming native shrubs that provide healthy fruits, seeds, pollen, or nectar, you can still venture into your backyard not looking exactly ready for the day and provide wildlife with backyard habitat. These are some good replacements for buckthorn. A suburban woods infested with a buckthorn thicket. While this looks “green,” these thickets lack nutrients for most wildlife. 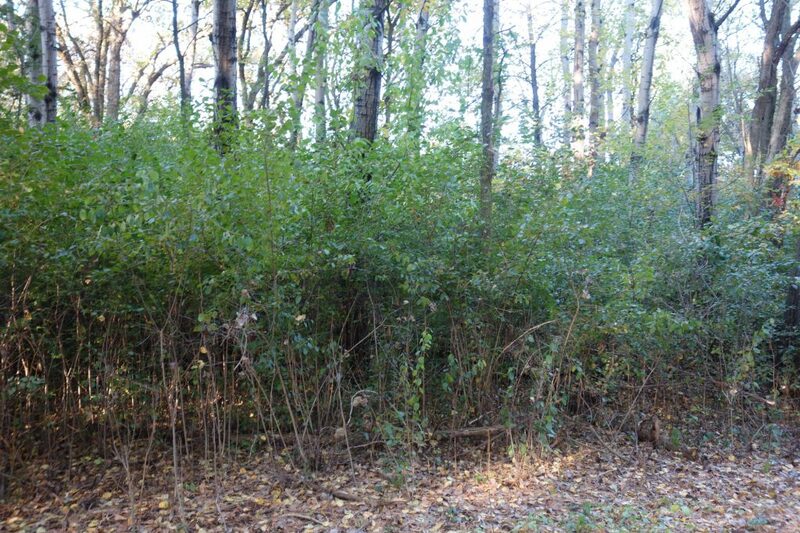 Invasives such as buckthorn push out the necessary understory of tree saplings, shrubs, grasses, and wildflowers that support wildlife, prevent soil erosion and water pollution.